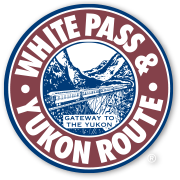 White Pass & Yukon Route, a successful, historic company engaged in rail, tourism and port operations, based in Skagway, Alaska, has an opening for a Locomotive Mechanic. 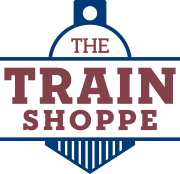 This is a full-time, seasonal position which offers highly competitive wages & benefits. The successful applicant must be available March through October. Must be able to clearly and effectively read, write and communicate (speak, hear and understand) English, in person and using electronic devices. Must be able to work outdoors in all weather conditions: (hot, cold, rain, snow, and sleet). Able to lift and carry up to 30 pounds frequently, up to 50 pounds occasionally. Must possess a valid U.S. Passport and must be free to enter Canada. Must be able to receive a Company sponsored Canadian work visa. Must not have had a DUI/DWI conviction within the previous ten years. Must have the ability to see and interpret hand signals from near and far; distinguish among red, blue, green, yellow and white colors; visually judge the speed and distance of moving objects; see at night; hear, and, with training, distinguish auditory signals. Must be able to work in extreme all-weather conditions and safety sensitive work environment. Must be able to follow safety policies and procedures and wear the required personal protective equipment required for the job in a safe manner. Safety sensitive transportation industry experience is preferred. Applications may be filled out online & and are being accepted on an ongoing basis. Position is open until filled. Any questions can be directed to Becky Jensen, Manager of HR and Benefits, at bjensen@wpyr.com.